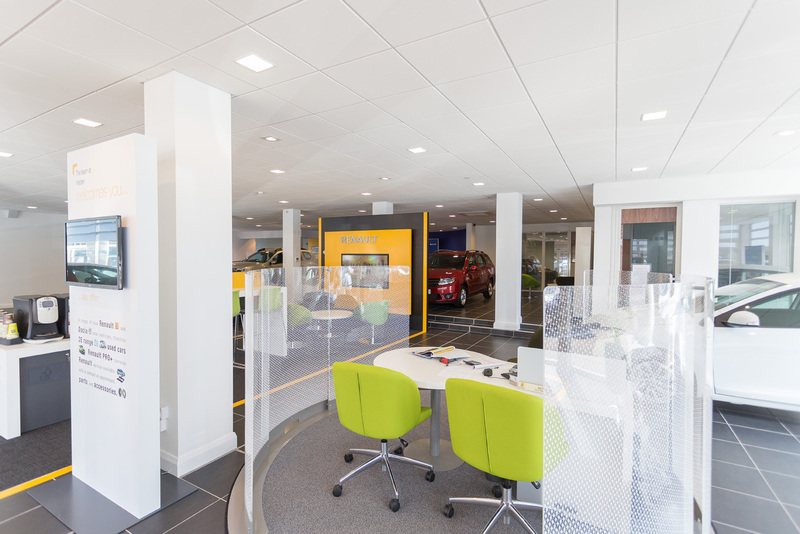 Holden Group Limited is a family owned Norwich based business who specialise in the supply of new and used cars, vans, service, MOT and parts. 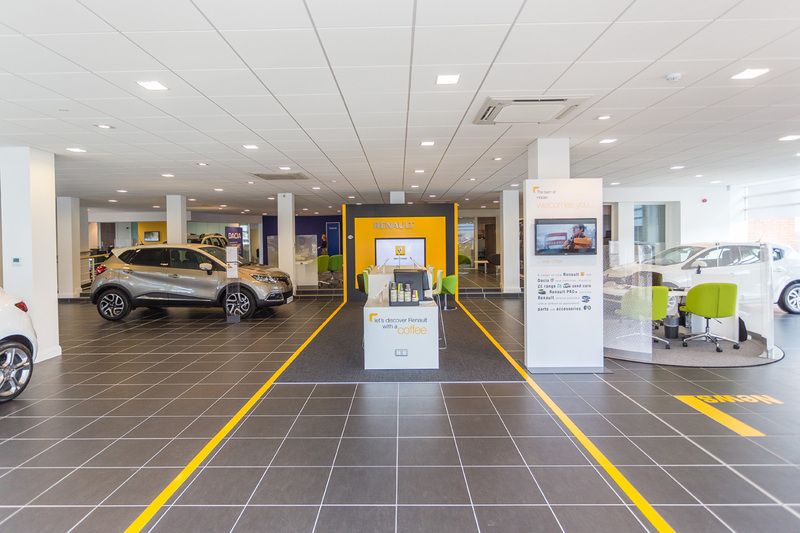 Holden Group was established in 1928 and represents the Renault, Dacia, Honda and Volvo brands. 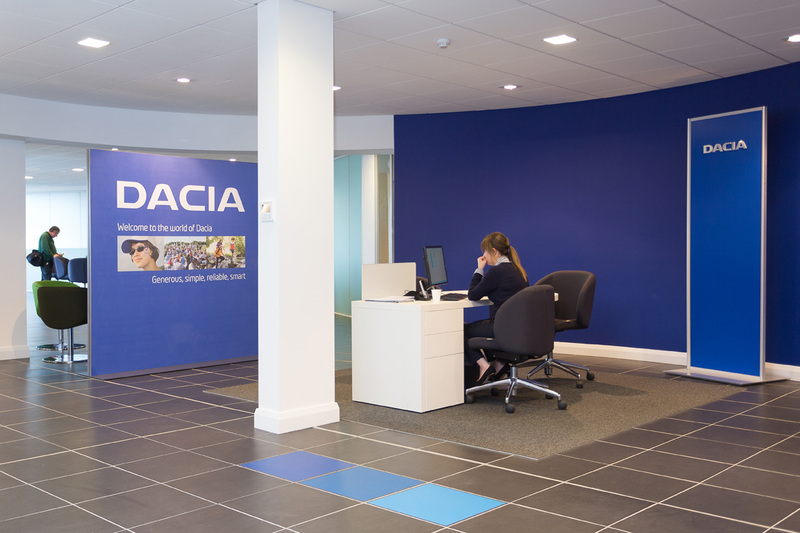 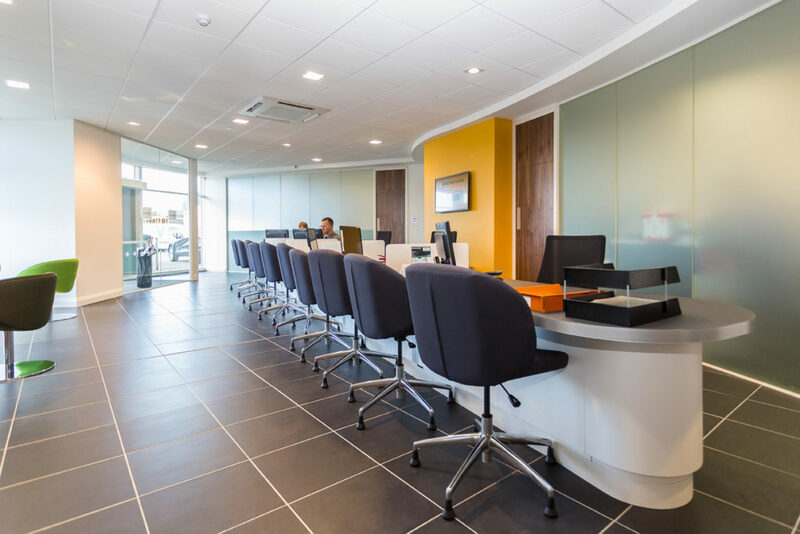 Holden Group are a returning customer to Bluespace Ltd following some work we carried out for them almost 10 years ago and we were delighted to be working with them again to fit out and plan a new commercial interior design for their 7600 sq.ft premises on Heigham Street, Norwich. 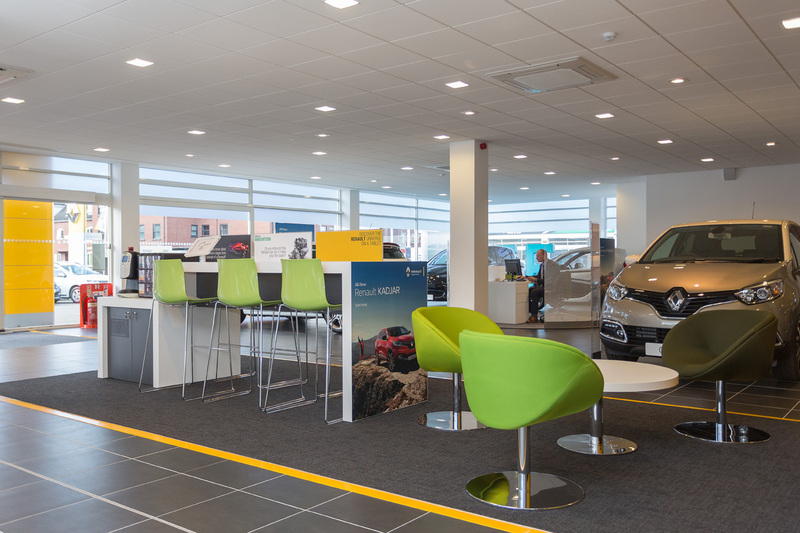 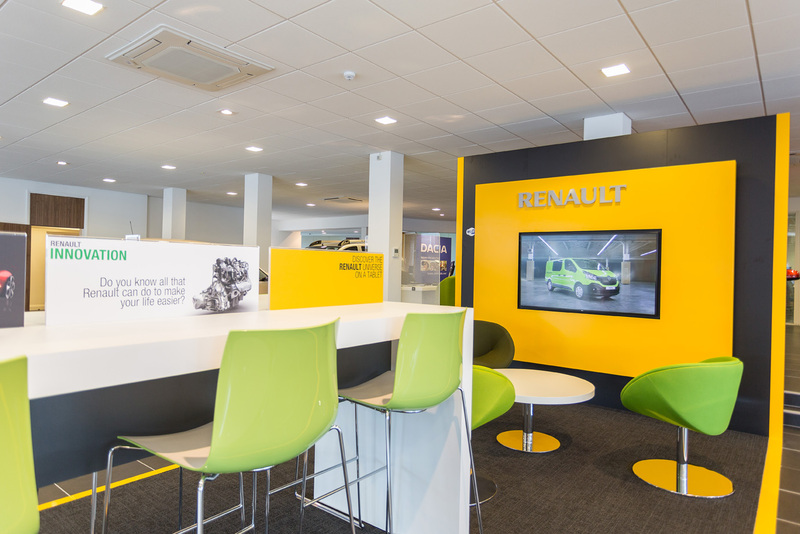 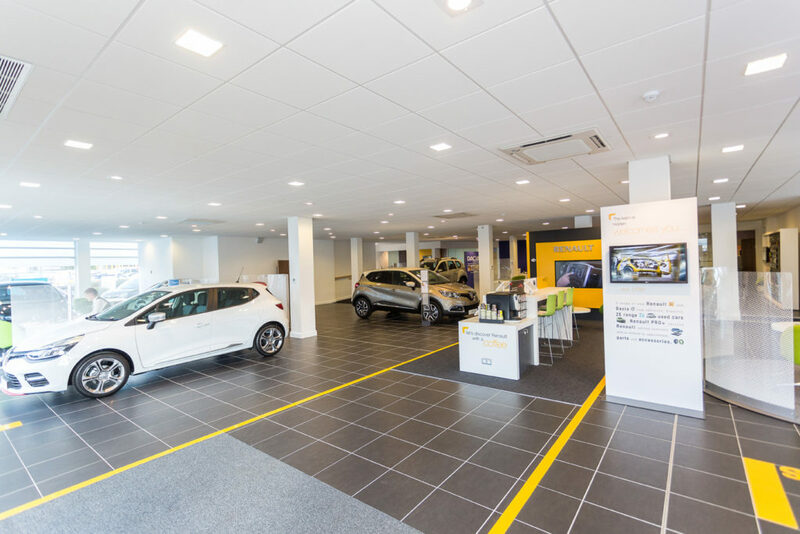 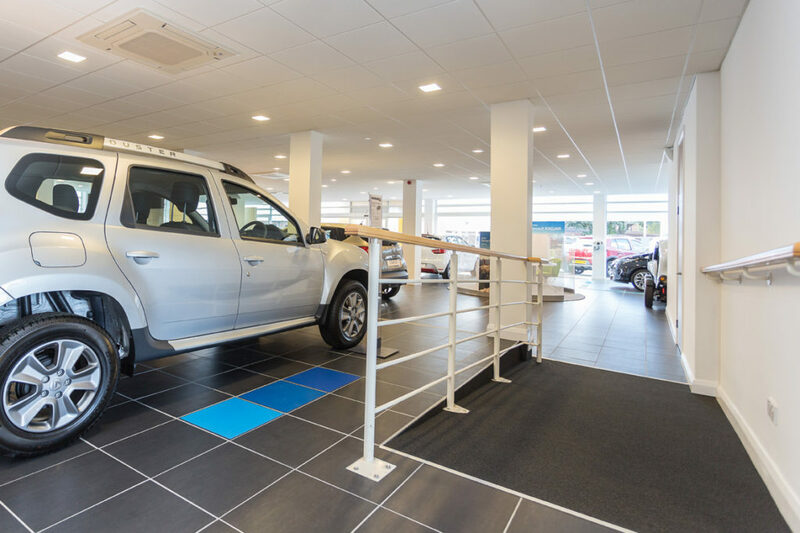 This was a great project to work on; there were some very strict parameters set out by Renault for their ‘showroom standard’ so we worked very closely to their guidelines and with their furniture supplier to ensure the correct layout and finishes were achieved.